NTU bike rally, 2015 edition! Back again for the 2015 edition of NTU bike rally, I skipped the event for 2 years and am back again as I plan to improve my fitness again. It happened on 8th March 2015, and due to some school related matters, I am not able to sufficiently high mileage in to be considered in optimum form. Moreover, due to some unforeseen circumstances(Non Drive Side Retaining bolt dropped off), I was forced to train for 2 weeks in my spare bike, a 11kg road 8 speed road bike. Fortunately, I managed to get my Merida Reacto back 2 days before the event and well more about it below. The thing that separates Bike Rally apart from the other organized events is that it is a student-initiative operated by the NTU sports Club. 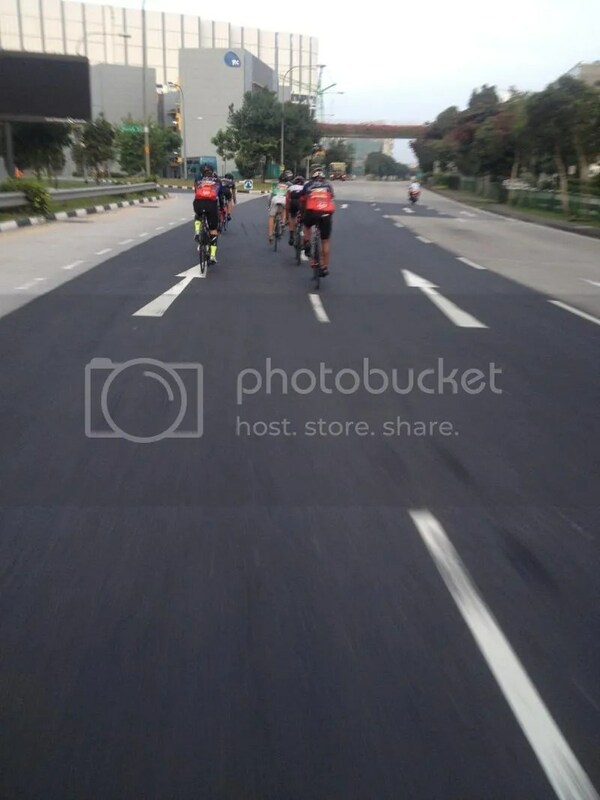 This gives newbies(Mostly NTU students from what I observed) a chance to ride in an organized ride on the road escorted by either safety car or marshall. For the ordinary cyclists, it means two things 1. Cheap prices as it is from a not-for-profit organization 2. Long Distances. This year, route on offer are the 168km event as well as the less-daunting 88km. 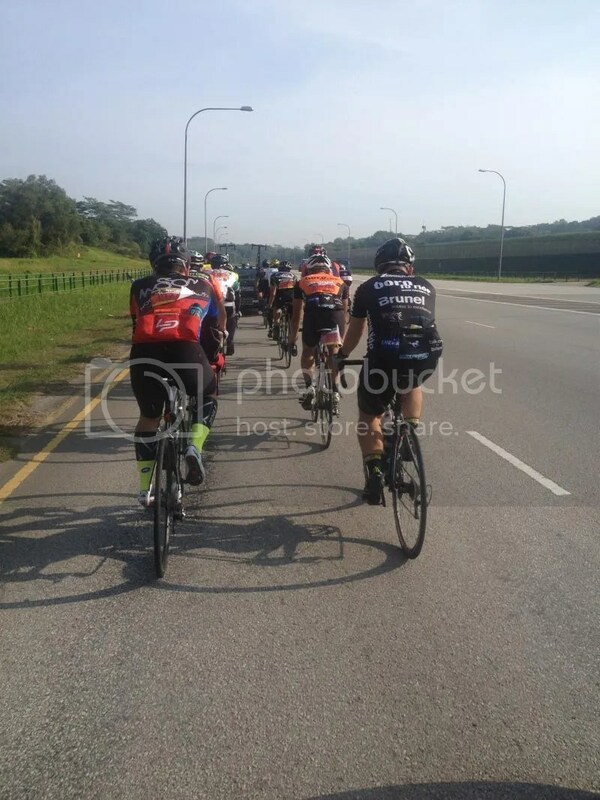 It makes the event a bargain compared to the other cycling events organized in Singapore. Then again, this event is a non-timed event with no price money for first,second,third so perhaps that’s the reason why prices are lowered. I signed up for the event under my brother’s name(who is a NTU student) thus, it costs merely 20SGD for the ride, and perhaps breaking a few clauses of the ride. 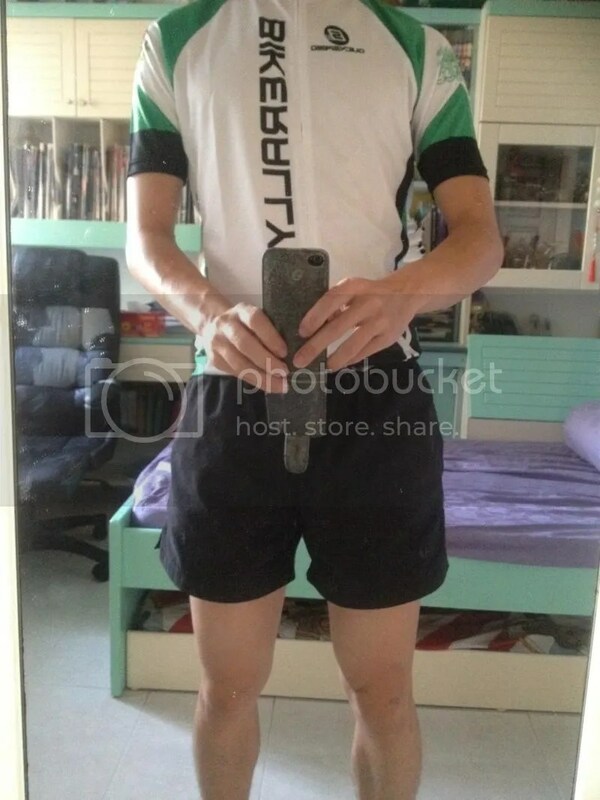 I added the Jersey for an extra 45 sgd and it looks amazing for the price. I had relatively little sleep before the event as I came home late. The flag off was not very fast, quickly made my way to the front to get draft from the safety car which wasn’t traveling very fast. It was still dangerous and had to do sudden braking as we went meandered around the CBD area till Bukit Merah area. It was all slow and happy till we reached the first “rest” point at West Coast park. Several in my group asked where the rest point was, but the marshal indicated for us to go forth, after seeing my distance (roughly 12km) and having read the ride map (which indicated next rest point was 17km away) a couple of us decided to press on. The speed suddenly increased dramatically to the 40s kph without the safety car, and the group was left with around 15-20 riders, mostly people from the west coast riders. We didnt have an idea where the next rest point was but I figured that it was at raffles Marina (same as the year I last participated in) There wasn’t that many signalers to indicate where we are supposed to go, but I noticed little yellow A4 Signs on Lampposts indicating where we are supposed to go. (Good idea by them) Reached Raffles Marina early, almost missing it as there was ongoing construction work and stopped for some well needed isotonic drinks, water and some bananas. Safety car finally came, and off we go, this time headed for NTU, met with my friend B(a friend on the sometimes I will be there 6 am ride), and we stuck to the front while catching up with each other. Took some photos, and almost fell off due to a pothole along Pioneer road. The speed/cadence sensor decided its a convenient time to die, and it failed to revert back to the GPS signal. Saved the ride data, and started a new one. Data up till that time is here. Soon came the NTU climb up and god it was tough, compared to the previous 50km of straight road. Managed to stick somewhat close to the car, and was rewarded with red bull, and water at the rest point. Soon, it was time to go again, and off we went, this time to woodlands promenade. We went pass Mandai at a somewhat crazy speed, and off we go to Gambas Avenue, it was then I felt that I was going to bonk soon, the feeling that my body is not sweating and felt that I was going to give my last shot at riding. 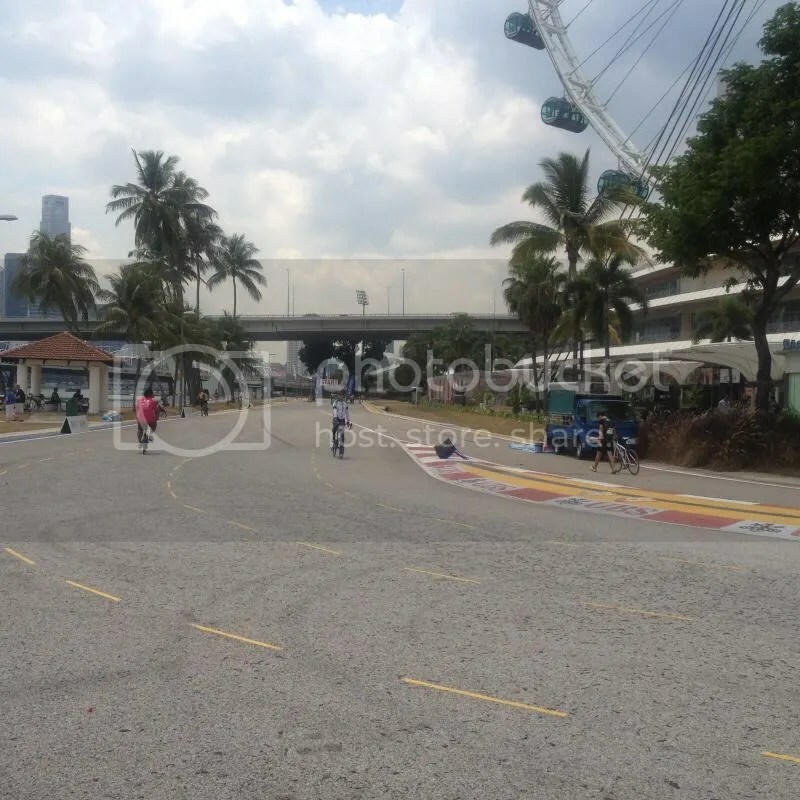 I bonked pretty badly around 2km away from Woodlands Promenade, felt like I was on fire, signs of nausea and headache. Decided to take a break, cool off and consume more food and drinks. Rested for awhile with a self-made Ice pack and chatted with the crew and other cyclists. I must say the stop was excellent with helpful student volunteers who gave food, ice and drinks to cyclists who really needed them.That day was exceptionally hot. The heat was getting to me, and that wasnt the last time it got tome. New Friends last together all the way! After resting, I didn’t have any cars to draft, so I went off at the same time as other cyclists, hoping to draft them. I met 2 NTU students who was participating in the event as well A and T. Off we went together as a Trio, catching up with other cyclists. Passed through all the pit stops together (one at Punggol Waterfront and the other at Changi Beach) I bonked again shortly before reaching Changi Beach and we decided to take a short break there. Sadly, I forgotten to charge my Bryton (though I left the house with 3/3 bars on the battery) and it died shortly before reaching Changi Beach. We rested for a short while before riding all the way back to the Starting/Ending point at the F1 Pit building. Journey back was a bliss with a tailwind along Changi Coast road, and light traffic along Nicoll Highway. Noticed some people from the running hour group with their tandems. A great initiative to let the blind ride alongside the able for the ride! Finally done with the event at 2pm and after resting, headed home for some well needed rest. The day was exceptionally hot coupled with lack of training made this event a painfully one for me. However, I was rewarded with some new friends, and the enthusiasm of the NTU crew gave me the strength to carry on riding. In conclusion, the bike rally, is a fun long distance ride that reminds me that cycling isn’t all about racing and training, anyone can do it as long as they try! My friend/Nemesis for most of the journey. Despite the bike rack over it, the car is still aerodynamic and I didnt feel much draft from it. Hanging on to the back along Lim Chu Kang Road. End point, just after lunch time. Data for the last 100km is here. unfortunately, I forgotten to charge and the last 30-40km of the journey is not recorded. 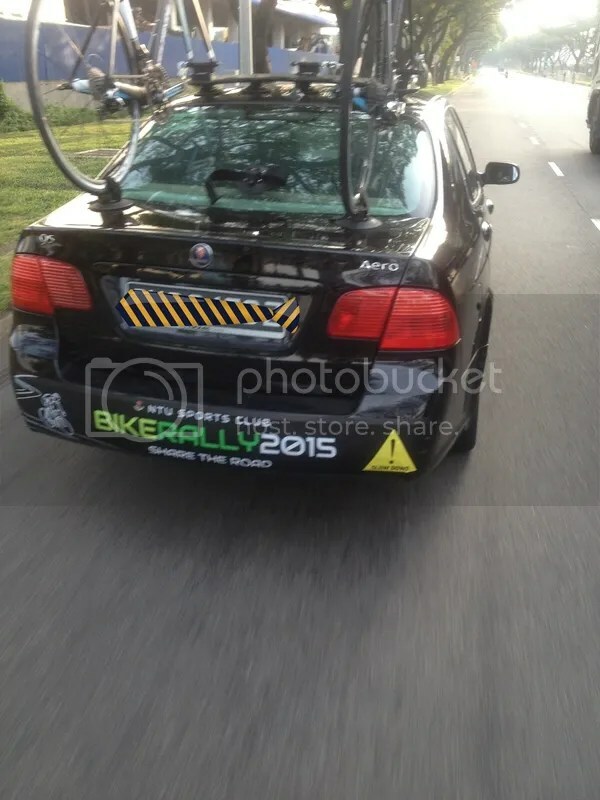 This entry was posted in Race/Ride Report and tagged Fun, Ntu BIke Rally 2015, pain. Bookmark the permalink.